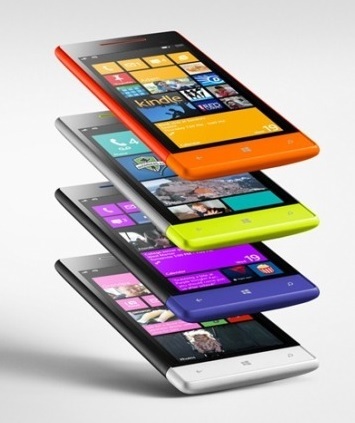 The Windows phone is strikingly different from it’s major rivals. While the Android and iOS devices have their own uniqueness as well as similarities, the Windows phone is said to have very unique and special. Although Windows phone users are statistically low in comparison with Android or iOS users, Windows phone do has many novel features and functions that tempt the users to go for this suave brand. In order to sustain in the market as well as to get the first spot again, Windows phone offers various updates and upgrades for its users. The recent one being the Windows 8. Windows updates are cumulative i.e. when you get an update then all the previous updates will also be updated if your device doesn’t have them. One additional advantage of windows update is that only the relevant and necessary updates for your phone will be downloaded and installed. Google Accounts: While the old phones bought prior to 31 December 2013 will continue with the existing sync method the new phones that will be bought from 2014 will support the CardDAV and CalDAV protocols thus allowing people to sync Google contacts and the calendar information. Thus your windows phone will act exactly like an android in case of calendar sync. FM Radio: Now the users can listen to FM radio straight from the music and videos hub. Previously only music and videos stored in your phone or memory card will be played but now even FM radio can be played. Skype: VoIP – Voice over Internet Protocols based apps namely Skype, Lync, etc are now enhanced for better stability, quality and performance. Thus enabling skype calls to be less prone to hangings, bugs and other issues. Xbox: Now with Xbox music the users of windows phone 8 can easily download nd pin music they like with easier and convenient select option. Additionally, the metadata such as song and album information is very accurate. Not only these but we can expect certain performance enhancements in the music player too. Internet Explorer: The current update will fix the bus that were degrading the quality of IE on windows phones. Thus making the web browsing through IE an incredible browsing experience. One of the significant bug fixes is said to be the improvement in the media playback quality. Camera: With the latest update, the users can fix their favorite lens automatically and it will be selected spontaneously every time you open the camera. Messages: Small and vital improvements like automatic draft storage, multiple recipients selection etc are added. Moreover now the users will be available with options of editing the forwarded message. Text Reply: Similar to your android phones, with windows phone 8 you can now reject a call with text replies. This is definitely a welcome change. This will make the users very comfortable to access their wi-fi network. Instead of the usual clumsy wi-fi organization, this will allow users to connect to their frequently used wi-fi immediately.